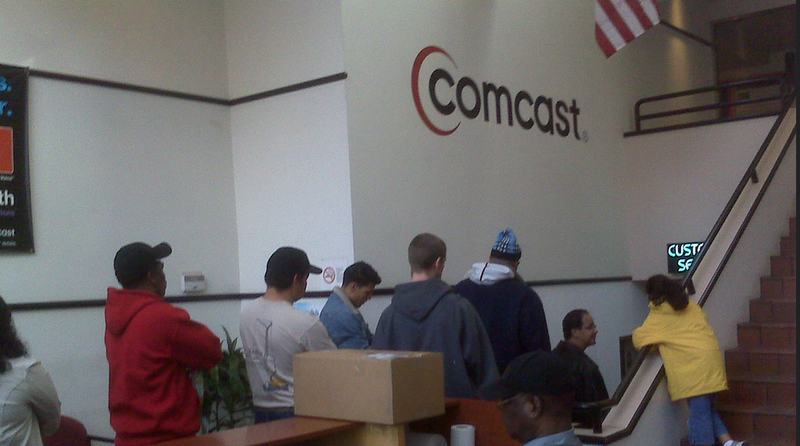 Yesterday, Philadelphia finally got around to releasing the results of a long-in-the-works Comcast customer service survey of city residents, and the results weren’t very favorable for the cable company. Of course, Comcast, which had more than a month to review the report before it was made public, is now trying to discredit it, saying the consultants that put it together should have asked Comcast — and not the citizens of Philadelphia — for accurate data about customer service. Cohen actually complains that the consultants hired to do the report chose to speak to actual Philadelphia residents about their Comcast experience rather than rely on data from the company. What’s curious is which statistics from the survey Cohen cherry-picks to complain about. He claims that the 15% of survey respondents who said they got a busy signal while trying to call Comcast are lying, because Comcast’s in-house data puts it at only .05%. As for the 61% of people whose calls weren’t answered within 30 seconds, Cohen claims that Comcast has this down to less than 10%, putting it in compliance with the FCC customer service standard. Sure, Cohen claims that “Similar discrepancies can be found in virtually all aspects of the consultant’s findings and report,” but why not single them out? If you’re going to debunk something, go all the way. Which is why we note that Cohen doesn’t dispute the fact that Philadelphia had the lowest customer satisfaction level of all six markets surveyed by the consultants in the last six years, while also having the highest rates for service in those markets. The Comcast post doesn’t take issue with the fact that nearly 2/3 of Philly subscribers had to call customer service in the previous year, or that billing issues were the top reason for calling the company. It doesn’t try to explain away why 99% of the 1,759 written comments on the survey were unfavorable, with complaints about price hikes, bad customer service, slow and expensive Internet, and Comcast’s regional monopoly dominating those comments. Whatever the actual data for busy signals and customers put on hold, the fact remains that a large portion of Philadelphia residents are unhappy with Comcast and the lack of options available. If Comcast truly loved its home town, then it will have to do a better job of explaining why it chose Atlanta for the launch of its ultra-high-speed 2Gb fiber service over Philadelphia, which has the third-lowest level of broadband penetration among large American cities.